On Thursday afternoon 24 Chattanooga campers arrived at the hotel to start a weekend of course training. Some camp members have raced together before so there were familiar faces, others have virtually trained together and were meeting each other for the first time. All in all it was smiles, laughs and of course the swapping of racing stories. 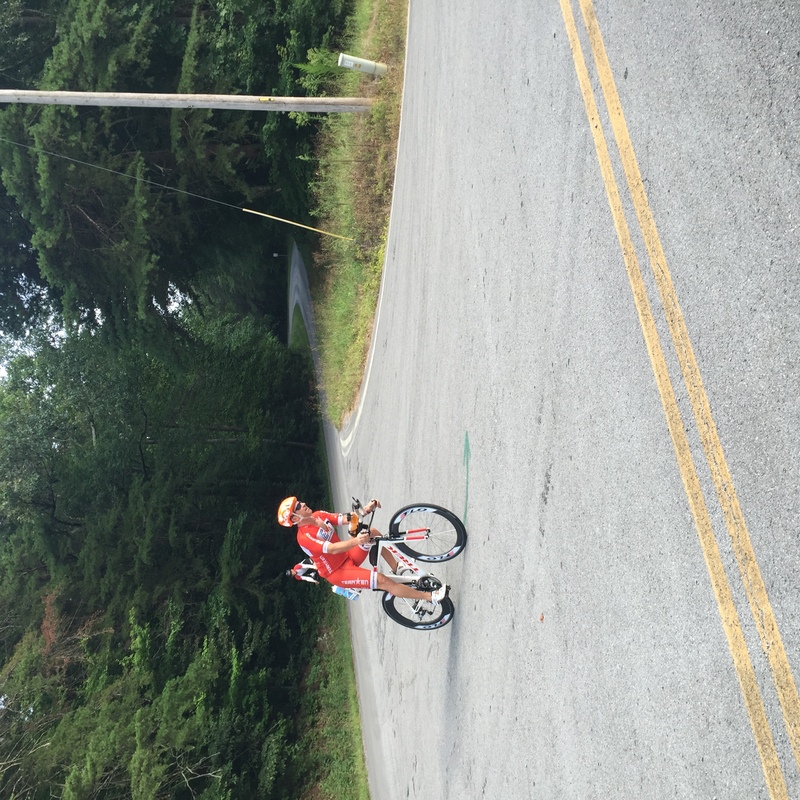 Racing the long course bike with heart rate, power, and Rate of Perceived Exertion (RPE). Racing the long course run with heart rate, pace, and RPE. Long course race day nutrition. The application of these process to any long course triathlon via a simple to execute system. 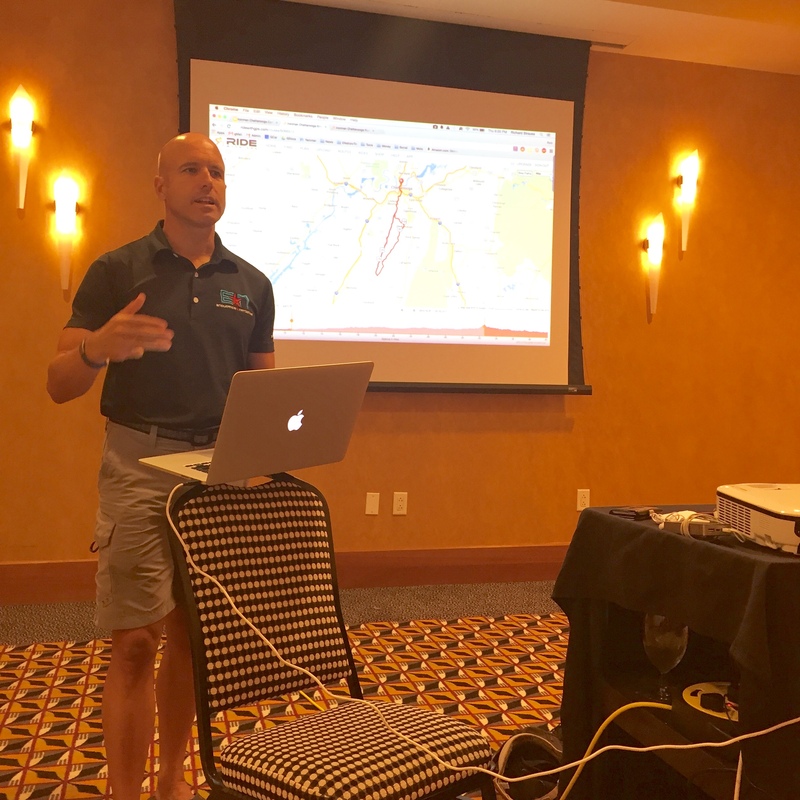 Finally, the application of this to the Ironman Chattanooga course specifically, with detailed attention to paid key terrain and other items specific to the Chattanooga course. It was a beautiful sunny day with temperatures in the upper 80’s. The crew rolled out together as the first 12 miles of the course houses a great deal of administrative maneuvering. Once they pass the state line on Hwy 193 and begin “the loop” everyone settled into their respective paces. With SAG support, athletes were able to get a more general idea of how their race day nutrition was going to play out between “aid stations”. Coach Rich informed the athletes of what segments of the course required what each specific kind of riding strategy and helped guide them through those strategies throughout the day. One of those critical segments on the course is the Hard Left turn on Hog Jowl Road. Since this turn comes off a significant decent and is equally as sharp of a turn, Coach Rich made sure to educate the athletes on proper descending, braking and bike handling techniques. As this turn was the site of a few accidents last year, the campers now know exactly how to maneuver the Chattanooga terrain. Most of the campers were able to get back from the bike and head out on the run before a quick late afternoon rain shower hit. It is always amazing to see the determination of athletes during an iron distance build. Bikes were put away in a timely manner, run shoes laced up and they got it done. After a quick snack Coach Rich then debriefed everyone on his course findings from the day, refined our “Endurance Nation Ironman Chattanooga Race Execution Plan,” and covered a wide range of “advanced” racing execution topics — bike handling skills, bike setup, aerodynamic tweaks and tricks, Garmin setup, actions at bike and run aid stations, and much, much more. Coach Rich’s intent here is to share with every attendee all of the grizzled vet tips and tricks the Team has created for itself via over 1000 Ironman finishes per year, every year, since 2010. Inside Endurance Nation there are hundreds of blogs, race reports, informational posts from athletes/coaches and these camp talks are no exception. 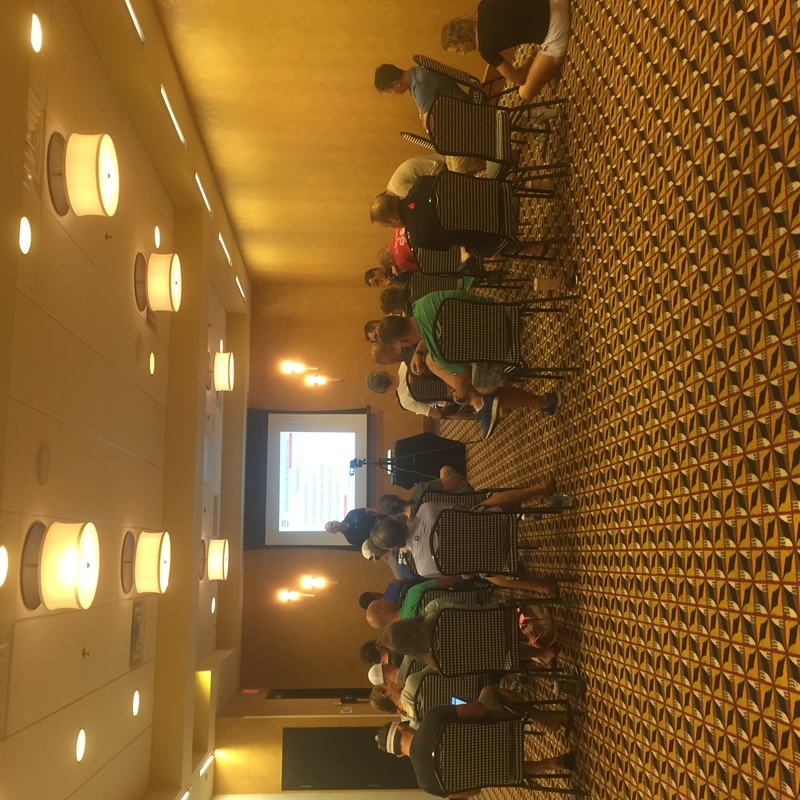 Coach Rich filmed his talk to be able to share with the team for other athletes racing Ironman® Chattanooga this year or in the future. The talk will be available on audio inside the team for easy download and listening. After the talk it was straight to dinner, then off to bed for much needed rest and recovery. Not on the Team or not at Camp? No worries! 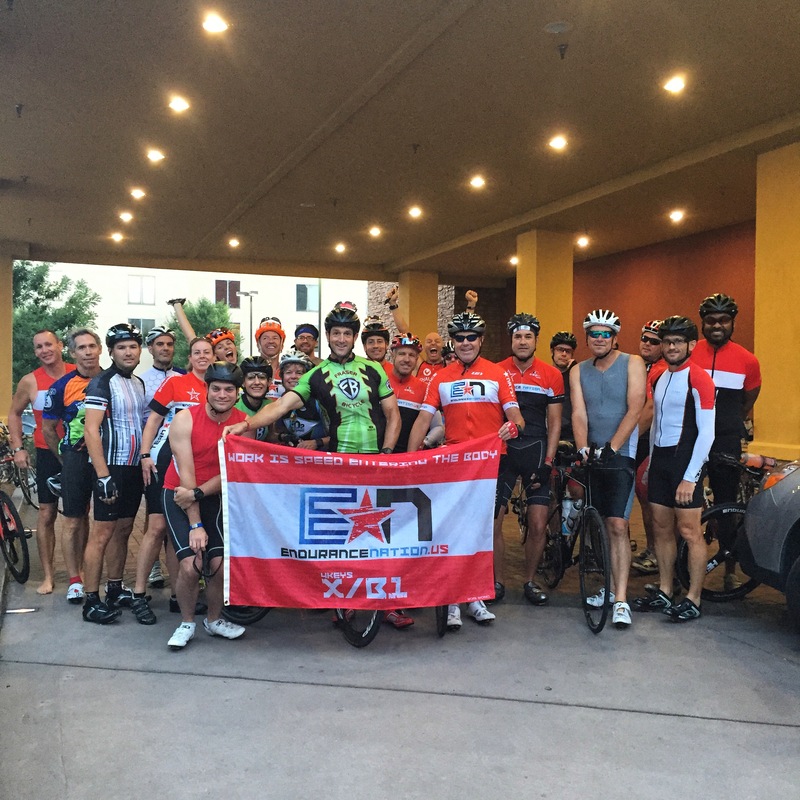 Endurance Nation has plenty of resources to get you up to speed. 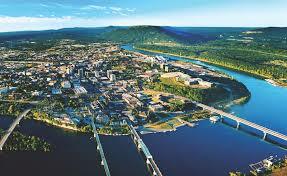 For those of you who are not on the Team, please check out the Unofficial Ironman® Chattanooga Race page, which has everything you need to know about the race. Remember to follow Endurance Nation on all Social Media platforms for tips, informational blogs, podcasts and even live posting of key events.